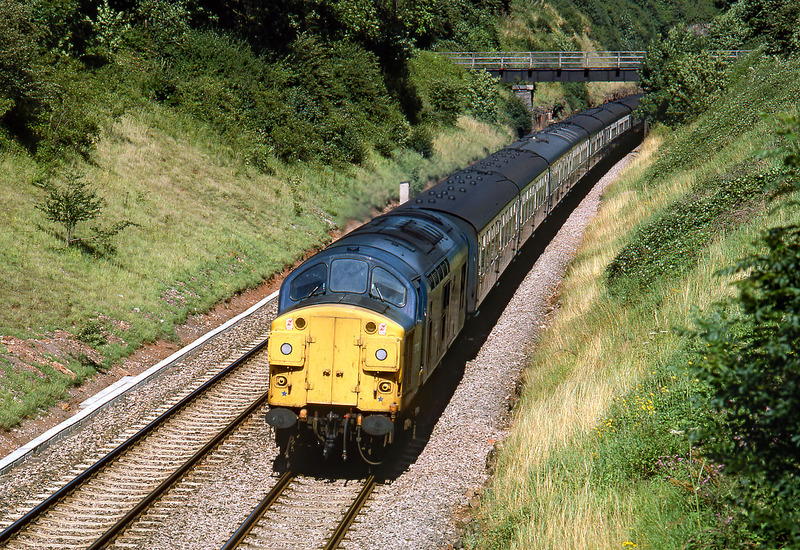 37113 passes under the combined footbridge and aqueduct, just after emerging from Wickwar Tunnel on 10 August 1985, as it heads south with the 1V32 10:32 York to Penzance relief. Definitely not ideal lighting conditions, with the sun virtually head on, but I certainly wasn't going to miss taking a picture of a split box 37 working that long gone sign of summer in the west - the Saturday holiday relief train. Even as late as 1985, all kinds of unusual traction could turn up on these trains.